The family of Jordanian prisoner Atta Ayyash, 61, held the Israeli occupation regime fully responsible for his life and called for an end to his isolation. In a press release on Monday, the family stated that the Israeli regime has isolated Ayyash from the outside world for the seventh consecutive day and prevented his own relative from having any contact with him. It said that Ayyash is exposed to daily interrogation and not allowed to receive visits from either from his lawyer or representatives of the Red Cross. It strongly denounced in its statement the Jordanian authorities for not moving to follow up his case and ignoring the suffering which his family had been enduring since his unjust arrest. Atta Ayyash, the uncle of martyr Yahya Ayyash, worked for the Jordanian ministry of Education from 1973 to 2000, and now he is a senior official of the charitable Islamic center in Al-Mafraq city in Jordan. Dozens of Jordanian prisoners' families staged a sit-in on Monday outside the Jordanian Royal Court, threatening to escalate their protests in solidarity with their sons in Israeli jails. The participants, including Jordanian national figures, called for activating the missing Jordanians' issue, stressing the Jordanian prisoners' rights in Israeli jails. The prisoners' families closed the road for some time protesting against the court officials' rejection to meet them. The families confirmed that their sons will launch an open hunger strike starting from May 2 till their demands are met. The chairman for prisoners committee, Abdul Karim al-Gauiri, said that the sit-in came in support for the Jordanian prisoners' rights and demands, stressing the importance of standing with their issue in light of the sacrifices they offered defending the nation's dignity. “As Jordanians, we are all responsible to defend our prisoners' humanitarian demands till their release, and to know the fate of 29 missing Jordanians,” he said, adding that the Jordanian officials who neglect their issue should be prosecuted. The Jordanian prisoners' families have staged a number of sit-ins calling for meeting their sons' demands and human rights. 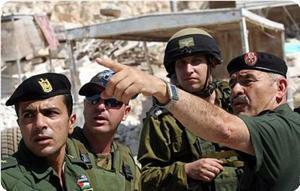 Israeli forces arrested eight people in the West Bank overnight, Israel's army and locals said. 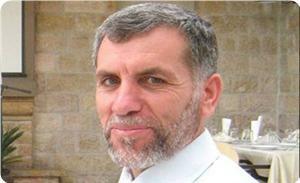 In Nablus, Israeli troops detained two lecturers from An-Najah university, witnesses told Ma'an. Dr. Issam al-Ashqar, a lecturer in physics, and Dr. Mustapha al-Shunar, a member of the social sciences faculty, were detained in dawn raids. Both men were reportedly affiliated with Hamas. 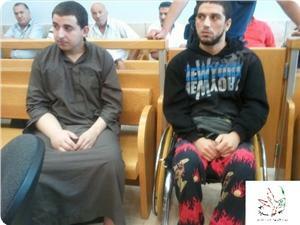 In Bethlehem, Baha Yabes, 20, and Nabil Yabes, 22, were detained in Duheisha refugee camp, locals said. An Israeli army spokeswoman said eight people were arrested overnight, two in Nablus, three in Ramallah, one in Bethlehem, one in Hebron and one in Tulkarem. Israeli forces Tuesday arrested six Palestinians from Bethlehem, Nablus and Hebron, according to local and security sources. Sources told WAFA that Israeli security forces raided and searched a house in Deheisheh refugee camp, south of Bethlehem, and arrested two brothers aged 20 and 22. In Nablus, security sources said that Israeli forces raided the city Tuesday at dawn and arrested two Najah University teachers after raiding and searching their homes. 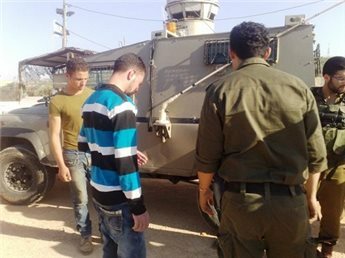 In Hebron, Israeli soldiers arrested a 26-year-old former prisoner and an 18-year-old student. Moreover, in Yatta, south of Hebron, sources said Israeli soldiers raided and searched several houses, and summoned residents for interrogation. On Tuesday, (just before the stabbing) he sent a message to his brothers, bearing the words "Forgive me." This was confirmed by his father, Abu Ali, who appeared shocked by the behavior of his son. 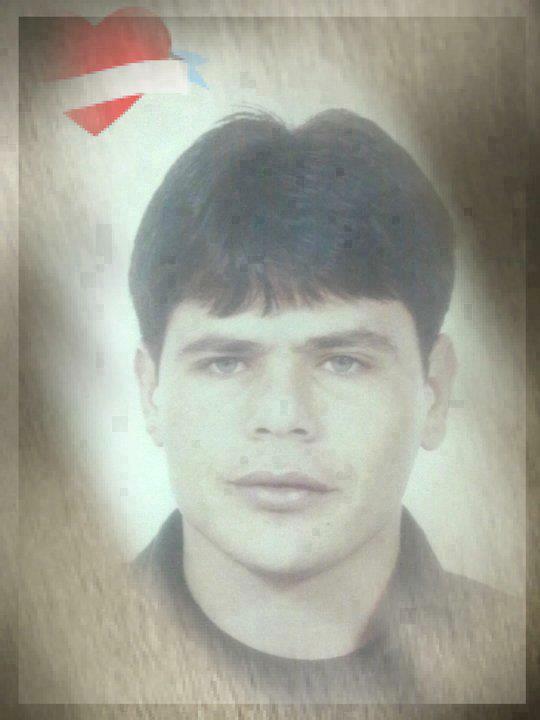 After having served 4 years in the occupation prison, where he had suffered a lot, he was released 44 days ago. Israeli border police sped to the area and fired towards the attacker, who grabbed his victim's weapon and returned fire but was eventually disarmed and taken into custody, she said. Israeli forces on Tuesday raided the home of a man suspected of fatally stabbing a settler in Nablus, locals said. Eight Israeli military jeeps raided the Tulkarem home of Salam al-Zaghal as well as several neighboring homes, locals told Ma'an. Al-Zaghal is suspected of stabbing an Israeli settler near Zatara checkpoint south of Nablus early Tuesday. "The Palestinian suspect stabbed an Israeli sitting at a bus stop. He died," police spokeswoman Luba Samri told AFP. A shootout took place when Israeli border police sped to the area and fired towards the attacker, she said. "He grabbed the (victim's) weapon and fired towards the border police force that was in the area. They fired back and neutralised him," Samri said. The victim, a man in his 20s, lived in a settlement in the northern West Bank, Samri said, without specifying which. An Israeli army spokeswoman said that the Palestinian suspect was taken to hospital for treatment. A 31-year-old Israeli man was murdered by a Palestinian terrorist Tuesday morning at a bus stop at the Tapuach Junction in the northern West Bank. The victim was identified as Eviatar Borovsky, a father of five from the settlement of Yitzhar. Shai Sub-District Police said the terrorist apparently stabbed the Israeli and then snatched his gun. The terrorist proceeded to open fire at Border Guard officers, who returned fire and moderately wounded him, according to police. 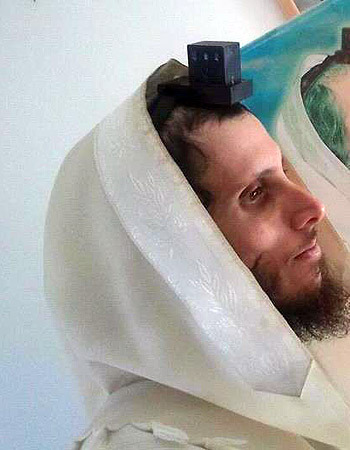 Magen David Adom spokesman Meidan Ben Yoash said Borovsky was pronounced dead after efforts to resuscitate him failed. Chief Superintendent Shlomi Yosef, commander of the Border Guard's Alon Battalion, said, "At approximately 8 am the terrorist arrived at the Tapauch Junction area from the south. He approached a settler who was standing at the bus stop, pulled out a knife from the bag he was holding and stabbed the civilian, who died of his wounds. The terrorist then took the civilian's gun and opened fire at a nearby Border Guard post. Fighters who were manning the post returned fire, while the commander of the checkpoint ran toward the terrorist and managed to shoot him some 150 meters (492 feet) from the scene of the attack." The terrorist was evacuated to the Rabin Medical Center in Petah Tikva. Police estimate the terrorist arrived at the junction from Tulkarem or Qalqilya. He acted alone, police said. Ynet learned that the terrorist is a Fatah operative from a village near Tulkarem. He was imprisoned in Israel for three years after being convicted of stone throwing and was released less than six months ago. The terrorist's brother is currently jailed in the Palestinian Authority for allegedly collaborating with Israel. "A terrorist armed with a knife attacked a settler at the bus stop and critically injured him. He apparently snatched the victim's weapon and fired at a Border Guard force positioned nearby. The Border Guard officers returned fire and neutralized the terrorist," a Border Guard spokesman said. Shomron Council Head Gershon Mesika arrived at the scene of the terror attack at the Tapuach Junction and said: "This heinous murder is a direct result of helplessness in the face of stones, open checkpoints and the lawless attitude towards terror in the area. "The IDF and security establishment must internalize that this terror kills. The government must make a change and refer to terror as terror," he said. In January a 17-year-old Israeli was stabbed at a hitchhiking post at the Tapauch Junction. He sustained light to moderate wounds. 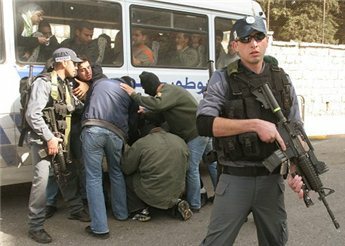 The terrorist, a man in his 20s from Ramallah, was apprehended. 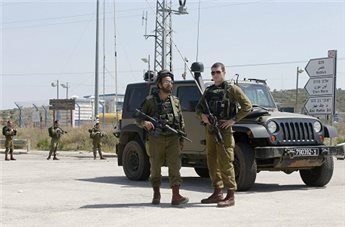 Undercover Israeli forces abducted a café owner in a village in the northern West Bank on Sunday night, the local mayor said Monday. Three armed men in plainclothes stopped in a car outside an internet café in Jaba, south of Jenin, and ordered coffees from the owner, 30-year-old Mahmud Alawneh. As Alawneh walked back to the café, the men pointed guns at his head and forced him into the car, witnesses told Ma'an. The mayor of Jaba, Bassam Jarrar, told Ma'an that Alawneh's family received a phone call from Israeli intelligence officers in Jerusalem on Monday notifying them that the café owner was being interrogated at Jalameh detention center. Israeli forces ransacked Alawneh's home several weeks ago and inspected it even though he was not home, his brother Nayif told Ma'an. "They stole money from the house, and Mahmoud brought legal action against the Israeli army," the brother added. 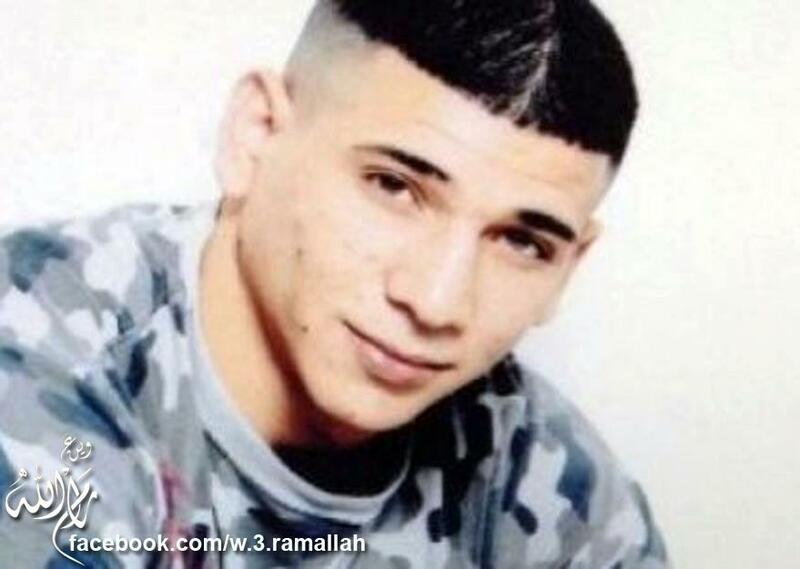 Israel has detained Mahmoud Alawneh five times and he has spent eight years in Israeli jails. He was last freed in 2011, and opened the internet café on his release. Dozens of citizens, MPs, representatives of national and Islamic forces, and the Palestinian prisoner’s society staged a sit-in on Monday in Al-Khalil in solidarity with detained hunger striker Ayman Abu Daoud. Dr. Aziz Dweik, the speaker of the Palestinian legislative council, spoke at the rally hailing the Palestinian prisoners on hunger strike and demanding greater popular support for their cause. Mother of the hunger striker Abu Daoud said that her son decided to go on hunger strike while his heart is full of faith in the Almighty Allah, which is the sure road leading to his freedom. 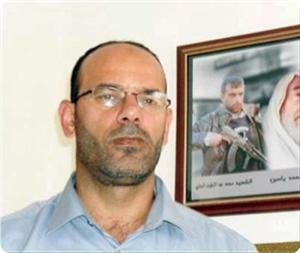 Amjad Al-Najjar, the head of the prisoner’s society in Al-Khalil, quoted Jawad Bulous, Abu Daoud’s lawyer, as saying that the Israeli occupation authority was trying to reinstate charges against his client in order to allow his return to jail to serve the remaining years of his 29-year sentence. Abu Daoud was released in the Wafa Al-Ahrar prisoners’ exchange deal but was arrested only six months after his release. Abu Daoud, who has started his hunger strike two weeks ago demanding his freedom, was only consuming salt and drinking water, according to his lawyer. The Israeli Occupation Forces stormed on Sunday the house of the prisoner Abdel Basset al-Hajj, 40, in Jalqamus town in Jenin 17 days after his arrest. The prisoner's wife told Ahrar Center for Prisoners' studies and Human Rights that an Israeli force has stormed the house at night and confiscated his computer. Umm Hammam confirmed that the occupation forces refused to provide them with any information about the detainee's conditions except that he will be presented before the court on Monday. For his part, Fuad al-Khuffash, the director of Ahrar center, that Abdul-Basit Al-Haj was arrested on April 17 where he was taken to Al-Jalameh interrogation center without charge. Fuad al-Khuffash added that Al-Haj, a father of three children, was arrested seven times, where he served 11 years in Israeli jails. 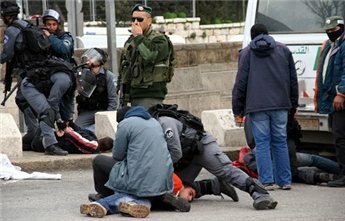 The Israeli occupation forces (IOF) on Monday kidnapped seven Palestinian citizens in different areas of the West Bank. Different local sources reported that the IOF kidnapped three young men from Al-Eizariya town in the east of occupied Jerusalem and three others from Deir Abu Mashaal northwest of Ramallah, Dheisheh refugee camp in Bethlehem, and Jaba village near Jenin. All the detainees were taken to interrogation centers. In other separate incidents, the Israeli magistrates' court sentenced a Palestinian boy named Omar Abu Isbitan to three months in prison on allegations of throwing stones and issued other verdicts against other young men. According to Al-Dhameer association for human rights, the magistrates' court extended the detention of another boy named Kamal Al-Alami on the same charge. Other three young men from Silwan district in east Jerusalem also stood trial and received detention extensions until court verdicts are issued. Another Jerusalemite young man, Jalal Abasi, received a release verdict on condition that he should refrain from going to the old city of Jerusalem for 15 days. The court also ordered the house arrest of a boy named Ahmed Badriya, and extended the detention of another boy named Muhanad Salim, who was arrested during the events that broke out on Friday at Al-Asbat Gate of the Aqsa Mosque. The Israeli administration of Ramon jail prevented the Palestinian families from visiting their relatives on Monday as scheduled. The international assembly to break the chain stated on Sunday that the Red Cross told the families of prisoners, from Gaza, that they cannot visit their relatives on Monday. The Ramon administration took its decision to punish the prisoners for the angry protest they had carried out lately to denounce the death of prisoner Maisara Abu Hamdiya and to demand an improvement of the medical care provided for them in prison. The Israeli prison authority had started to allow the Gazan families to visit their relativs in Israeli jails recently after a six-year hiatus as part of an Egypt-sponsored agreement with the Hamas government last May, but it decided several weeks ago to deprive the prisoners and their families once again from seeing each other. 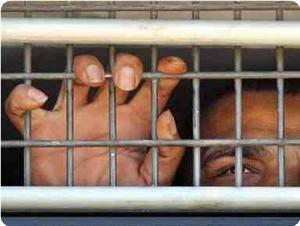 There are about 450 Palestinians from the Gaza Strip in Israeli prisons. 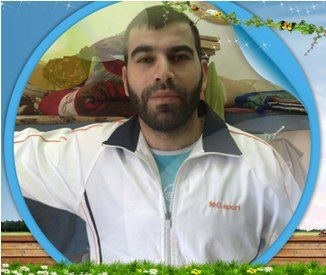 Palestinian human rights sources reported that the Israeli occupation authorities have continued to isolate the Palestinian prisoner Ammar Abu Ghalion, because of his persistent demands to transfer him to a jail close to his place of residence. Palestinian Prisoners Society (PPS) said in a press statement on Sunday that "the Israeli Raymond prison administration has continued, for the 66th day, to isolate captive Ammar Abu Galion, aged 34 from the city of Jenin in the northern occupied West Bank, because he has been demanding to be transferred to the northern prisons, near the place of his residence, so that his mother (aged 78) will be able to visit him." Captive Abu Galion told PPS's lawyer who visited him that the prison administration has been deliberately transferring him from one prison to another in the south, and that it has also imposed on him fines of 800 shekels (equivalent to U.S. $ 220) without any justification. He pointed out that he went on hunger strikes three consecutive times, but the prison administration paid no heed, and escalated its repressive measures against him. Ammar Abu Ghalion is a liberated prisoner. 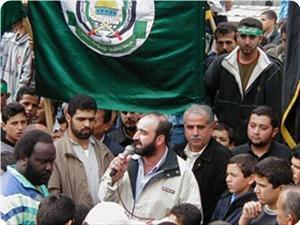 He has been re-arrested by the occupation authorities in 2008 and was sentenced to 14 and a half years imprisonment. The “Freedom and Dignity” International conference Sunday adopted the launch of an international campaign to free Fatah leader and lawmaker Marwan Barghouti and all prisoners in Israeli jails, said a press release on Sunday. 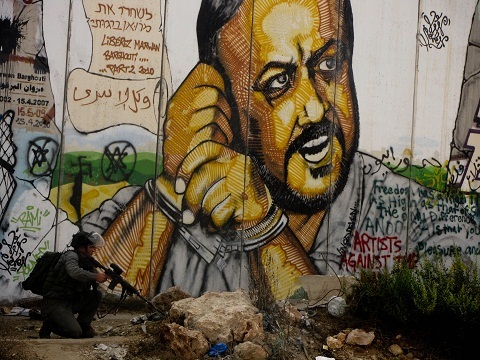 The Free Barghouti campaign said that Member of the African National Congress (ANC), Ahmed Kathrada recommended the launch of this campaign which is similar to a previous campaign to free President of South Africa Nelson Mandela. The participants in the conference suggested on the current and former presidents of the Palestine committees’ in the parliaments of their countries to form a Parliamentary network that adopts the prisoners’ freedom as a priority. Presidents and former Presidents of the Palestine committees in the European Parliament, France, Argentina, Britain, Sweden and Chile signed the recommendations. The recommendations of the conference also included agreeing with the International Federation for Human Rights and the Euro-Mediterranean Human Rights Network (EMHRN) to launch a legal campaign to defend the rights of prisoners and to compel Israel to international laws and conventions. The participants, according to the press release, affirmed the importance to work on all official, parliamentarian, legal and solidarity movements’ levels to increase pressure on Israel to abide by the international law. They said that the Palestinian people and prisoners’ dignity and freedom is a basic condition to achieve peace in the region. The two-day Freedom and Dignity conference was held in Ramallah to mark 11 years since the arrest of Barghouti and was attended by a large number of international figures. The family of Palestinian prisoners Amir and Mohamed Asa'ad, from Kafr Kanna town in the 1948 occupied lands, appealed to human rights groups to urgently intervene to save the lives of their ill sons. The families of the two imprisoned brother said that their sons are medically neglected by the prison administration and the health conditions reached a life-threatening stage. For his part, director of Ahrar center Fouad Al-Khafsh confirmed that Amir and Mohamed really suffer from serious health problems. Khafsh explained that Amir is paralyzed and Mohamed suffers from the elephant man disease that causes his hands and legs to keep swelling, adding that both of them uses wheelchairs. He noted that Amir and Mohamed were taken prisoners in 2011 and since then they have been serving their prison terms for about six years in the infirmary of the Ramla jail. The international Tadamun society for human rights said that the Israeli regime still labels the case file of prisoner Dirar Abu Sisi as dangerous in order to justify his detention in solitary confinement. Lawyer of the society Mohamed Al-Abed stated that the Israeli prison authority unjustifiably transferred prisoner Abu Sisi from his isolation cell in Ashkelon prison to another one in Ohli Kedar jail about three months ago. Abu Sisi told the lawyer that his imprisonment conditions in Ohli Keder is much worse than what he suffered inside Ashkelon. "I do not see or talk to any human, and I feel some moments like I am in another planet because my isolation room is very small and it is like a grave with no air or light and full of bugs," Abu Sisi said. He added that the only thing that comforts his loneliness and makes him endure the suffering of being in solitary confinement is his reading of the holy Qur'an every day. The isolation of Palestinian prisoners in small cells is one of the psychological torture methods used by Israel to punish them and destroy their mental health. Buthina Duqmaq, a lawyer working for the Mandela institute for political prisoners, said that there are 25 Palestinian prisoners isolated in cells in Ramla jail alone, where one or two are locked up in a small room. Duqmaq added that the isolated prisoners in this jail are banned from talking to or seeing anyone and kept for 23 hours continuously inside their cells, except for a one-hour break, during which every prisoner is allowed to leave his cell to catch some air without being in contact with his prison mates. She said that this type of isolation affect the Palestinian prisoners mentally and cause them to suffer many health problems. Israeli occupation forces (IOF) stormed Azza refugee camp to the north of Bethlehem at dawn Sunday and nabbed a young man. 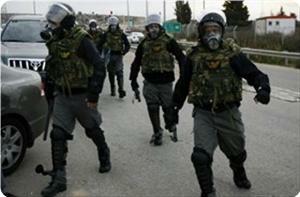 Local sources said that limited clashes broke out when the IOF soldiers burst into the camp in armored vehicles. The release of Palestinian prisoners will reflect Israel's commitment to peace talks, president Mahmoud Abbas said Saturday during a conference in Ramallah. Abbas made the comments in a prerecorded speech played at the opening session of the Freedom and Dignity conference to mark the 11th year since Israel's arrest of Fatah leader Marwan Barghouti, official news agency Wafa reported. Israel must be held accountable for its crimes, Abbas said, adding that as a non-member observer state Palestine has "the freedom to take legal action at any international forum." Vice President of the European Parliament, Isabelle Durant, said in an address to the audience that Israel must be held accountable for holding prisoners under administrative detention, calling it a human rights issue. Former US President Jimmy Carter said in a recorded speech that Israel must stop settlement construction and stressed the importance of Palestinian prisoners in future peace talks. Caretaker prime minister Salam Fayyad said that the meeting was proof in itself that Palestinian prisoners are not alone, while PA minister for detainees Issa Qaraqe spoke to the audience about rights violations in Israeli jails and the practice of arresting minors. Peace can not be accomplished as long as Israel continues to hold Palestinians in jail, Qaraqe added. There are 4,900 Palestinian prisoners in Israeli prisons and detention centers, including 168 administrative detainees, 14 women and 236 children, according to Addameer. Tadamun Foundation for Human Rights said that the Israeli occupation authorities have recently transferred three detained Hamas leaders to interrogation centers. Ahmed Beitawi, researcher at Tadamun Foundation, said that the intelligence service transferred the leaders Adnan Asfour, 50, and Raafat Nassif, 47, from the Negev prison to interrogation centers claiming the existence of new information proving their activities within Hamas movement. The leader from the city of Jenin Abdel Basset al-Hajj, 40, has been also transferred to Jalama interrogation center immediately after his arrest on March 14, 2013. Beitawi added in press statements that the Israeli courts have extended the detention of Asfour and Nassif for 12 days, pending investigation. He pointed out that the three leaders have been exposed to intensive interrogation since their arrival to the interrogation centers, in addition to being held in narrow cells under very poor conditions. Palestinian families of two kids expressed their concern over the fate of their sons after they were kidnapped and one of them was wounded on Friday by the Israeli occupation forces (IOF) near the segregation wall in Jalboun village to the south of Jenin city. One of the kids, Yazid Abul-Rub, was admitted to the hospital of Afula after he sustained a bullet injury near the apartheid wall. Ragheb Abu Diyak, a member of the popular committee against the wall and settlement, held the Israeli regime fully responsible for the life of the wounded kid. He appealed to doctors without borders organization and human rights groups to visit the kids, especially the one in hospital, to check on their health conditions. In another incident, the IOF released last night three Palestinian kids, from Arraba town, after they were kidnapped at Dotan checkpoint south of Jenin city. Local sources said that the IOF kidnapped three related kids, namely, Wael Ayman, 17, Khaled Walid, 17, and Wajih Imad, 13, and took them in chains to Dotan settlement. 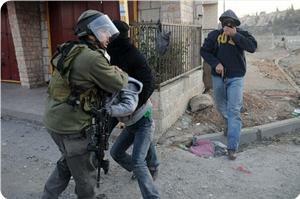 The Israeli soldiers claimed the kids threw stones at the checkpoint. A Palestinian human rights center called on the human rights organizations to intervene with Israeli occupation authorities (IOA) to reveal the fate of prisoner Mahmoud Zahran, who was taken to an unknown location, after he stabbed a jailer last Saturday. 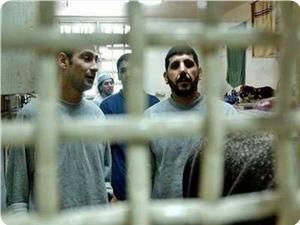 The Palestinian Prisoners’ Center for Studies, in a statement on Saturday, held the IOA fully responsible for the life of the captive. It noted that immediately after Zahran attacked the Israeli officer in Ashkelon jail, the special units stormed the prison section and brutally attacked the detainee, then took him to an unknown location. The center expressed its concern that the IOA could exercise all forms of torture against the captive and may put him in solitary confinement for a long time, as what happened before with the prisoner Awad Al-Saidi. The Palestinian human rights center warned of the outbreak of tension inside the occupation jails "due to the restrictions imposed on the prisoners and the jailers' repressive practices against them." Prisoner Jamal Nouri has threatened to return to his hunger strike if the Israeli court did not rule his release by 30th April. Nouri’s mother told the PIC reporter that her son went on hunger strike for more than 58 days, which greatly deteriorated his health condition. She said that Nouri’s lawyer advised him a few days ago to suspend his strike temporarily so that he could attend his trial hearing in Nazareth that would determine whether he would be released or retained in custody. Nouri, who is imprisoned in Eshel prison, went on hunger strike to demand his release in accordance with an Israeli law that allow the release of prisoners if they served two thirds of their sentence. He is also demanding his right to see his wife and children. 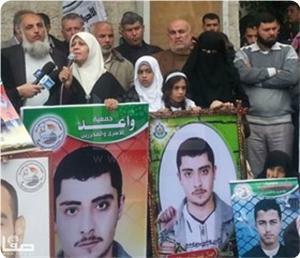 The family of Palestinian prisoner Atta Ayyash appealed for his release. Haj Ayyash was arrested by the occupation authorities two weeks ago on Karama bridge as he was leaving the West Bank heading to Jordan, where he lives with his family. The family condemned the occupation authorities' decision to extend the arrest of Haj Atta Ayyash, 61, for 12 days in Taj Tikva interrogation center. For his part, Mamoun Ayyash, the prisoner's son, confirmed that the occupation authorities arrested his father while he was returning to Jordan from a short visit to his hometown of Rafat in Salfit, on Karama crossing. Mamoun said that his father is used to visiting his family in Rafat every year. 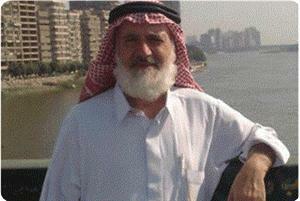 For his part, Fouad Khuffash, director of Ahrar Center for Prisoners' Studies and Human Rights, denounced the arrest of Haj Atta Ayyash, adding that the occupation has charged him of being affiliated with Hamas and transferring money to the martyr Yahya Ayyash’s family, which was denied by the prisoner. Khuffash called on the need to work for his release urgently. Sheikh Atta Ayyash is the uncle of the martyr Yahya Ayyash, the military leader in Hamas movement who was assassinated by the Israeli occupation in 1996. 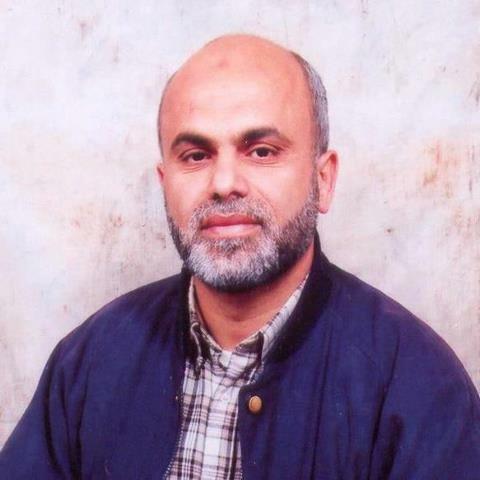 The Israeli Occupation has released on Thursday evening the former head of the al-Bireh municipality and a leader within the Hamas movement Sheikh Jamal al-Tawil, 55, from the city of al-Bireh in the central occupied West Bank. The Israeli Court has decided on Thursday to release the leader in Hamas movement Sheikh al-Tawil, from Ramallah, after his administrative detention in Ofer prison, Palestine center for prisoners’ studies confirmed. The lawyer has informed al-Tawil's family that the Israeli court refused the appeal submitted by the Israeli Intelligence hours after issuing his release decision, the family told PIC. 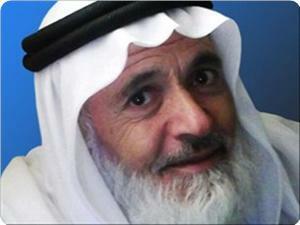 The Israeli occupation forces arrested Sheikh Jamal al-Tawil in January 2013 and turned him to administrative detention where he spent three months and a half. The liberated prisoner was arrested several times in Israeli jails where he spent more than 12 years, mostly in administrative detention. He was elected as head of the al-Bireh municipality and was sacked illegally by Fatah movement in flagrant violation to the rules of democracy. Sheikh Jamal's wife, Muntaha al-Tawil, had been held in administrative detention for a whole year where her detention was extended four times in twelve months. Israeli forces released on Thursday three youths detained for throwing rocks at them, the Palestinian liaison office in Jenin said. An official in the military liaison office told Ma’an that two 17-year-olds and one 13-year-old were released to the office's custody in Arraba near Jenin.